"The posture for yoga should be steady, stable, and motionless, as well as comfortable." A posture is a life situation, Perfecting a posture comes not so much by doing but rather by not doing. Once you are into the posture, allow the posture to settle in, as an active form of consciously ceasing to place any effort in the effort. Practice effortless effort, along with focus on embracing the infinite, your expansion borrows from how much you are able to let go off. Experience balance between effort and ease in every pore, every hair, even the smallest cell in your body. You might need a lot of strength in order surrender, yet elegant and honest, accept your current condition. How to stay strong, focused and attentive without breaking our body or our mind? How to stay steady and true to yourself when facing the unknown? 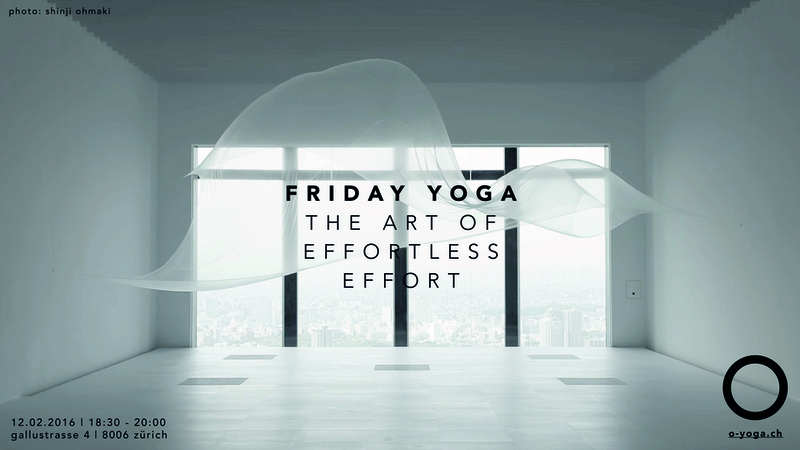 The art of effortless effort is about finding that subtle point of unstable balance.